Since the Bollywood actresses are marching towards the West and have successfully established themselves in Hollywood, we were waiting for our actors too to speak up on moving to Hollywood. Just yesterday, Priyanka Chopra grabbed second time People’s Choice Awards in sequel to last year and Deepika Padukone have already earned name and fame with one successful release of Hollywood movie with Vin Diesel. DP’s smoking hot appearance on the USA TV show with ‘Ellen DeGeneres’ and James Corden’s show ‘The Late Late Show’ have made her foot prints in Hollywood more solid. “I don’t have any interest in going to the US and working there. I am totally interested in working for Indian films. I have a relationship with the audience here for last 25-26 years and I cherish and give a lot of value to it. But that doesn’t mean it is a bad idea to entertain the world audience. I just don’t have that interest. It’s not my career graph that I will try and work for doing international films. But it doesn’t mean that I am adamant on not doing any international film. If I get something interesting I will do it. There are no boundaries for creative purpose. If I get an offer from Japan and if I like it, I will do it”. Aamir Khan give us and the society ideal movies(Taare Zameen Par, Sarfarosh, Dangal) to live with. We would surely love to see you on international screens too! 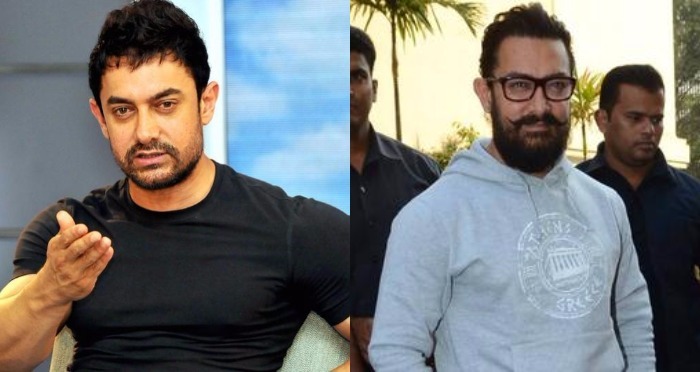 Read: Aamir Khan Finally Speaks Up On His Dangal Co-Star Zaira Wasim Making Public Apology! Previous : Photos: Monalisa And Vikrant Singh Rajpoot Finally Tied The Knot In Bigg Boss 10 House! Next : Watch: Deepika Padukone’s Candid Confessions of Borrowing Rs.10,000 from Her Parents To Having Babies With Vin Diesel On The Ellen DeGeneres Show!